Palestinian farmers in the northern West Bank town of Aqraba, south of Nablus, complained on Monday that Israeli army military training, in their area, has destroyed their crops. 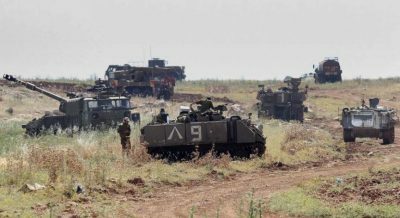 WAFA reported that, according to Yousef Dirieh, an activist in the anti-settlement committee of Aqraba, the Israeli army was conducting training with live ammunition in Khirbet al-Tawil, an area in Aqraba. He said that the exercises are being conducted in the vicinity of residential homes and between them, and in agricultural land, destroying crops and causing serious loss to farmers.